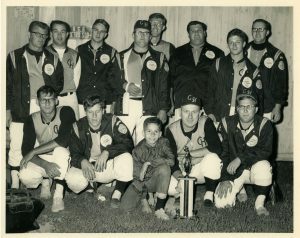 1967 held at Sheboygan, Wisconsin. Dana Gardens defeated Publix, from Lakeland, FL to win their 6th game of the tournament. They needed to win the 7th and 8th to win it all. It wasn’t meant to be. The Best Women’s Slow Pitch team ever assembled that previously won National Championships in 1957 and finished 3rd in 1958. Then in 1962, started a string of excellence that would have them win National Titles in 1962, 1963 and 1964. Their record was 14-0. 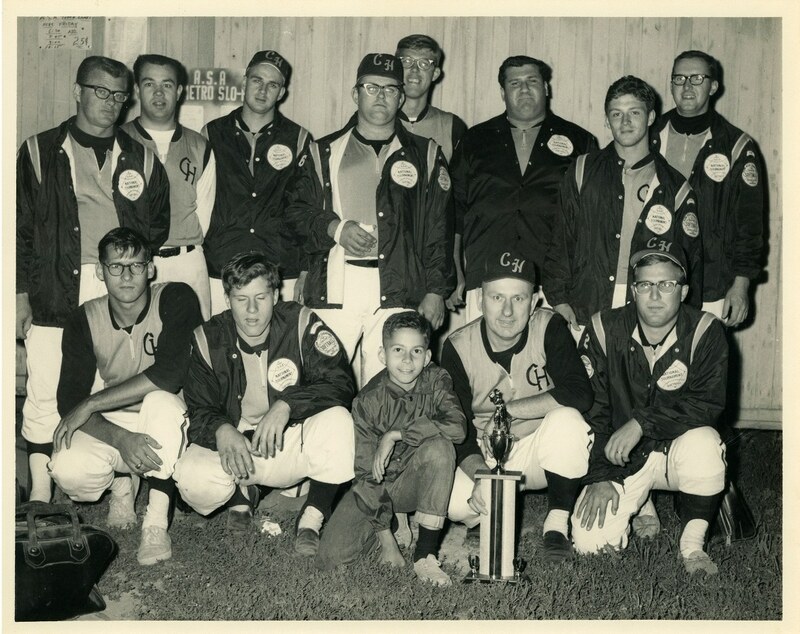 In 1965, they finished 5th, but came back in 1966 to go 7-1 and capture the title once again. This year, 2nd place is the best they could do (6-2 record). 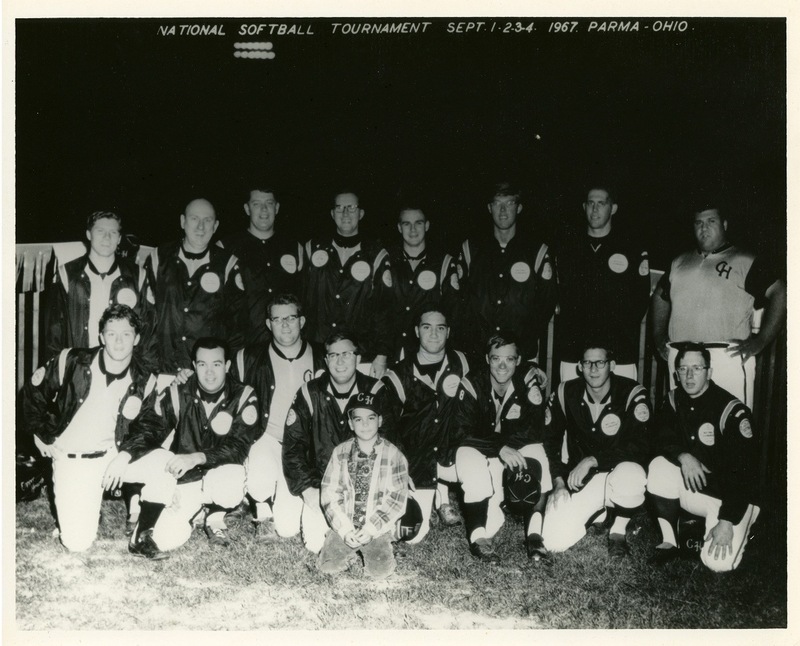 The teams national record in the 1960s was 30-5. it took a good young team like Ridge Maintenance to defeat the Cincinnati squad. They did so by defeating the defending champs 4-3. In the final game, Ridge scored 3 runs in the 4th inning to take a 4-1 lead they would never relinquish. The Cincinnati club came back and scored 2 runs in the 7th inning, but fell just short in the 4-3 loss. Ida Jean Hopkins was named MVP for her exceptional play and leadership. This tournament was so balanced, that only one team placed more then one player on the all tournament team. 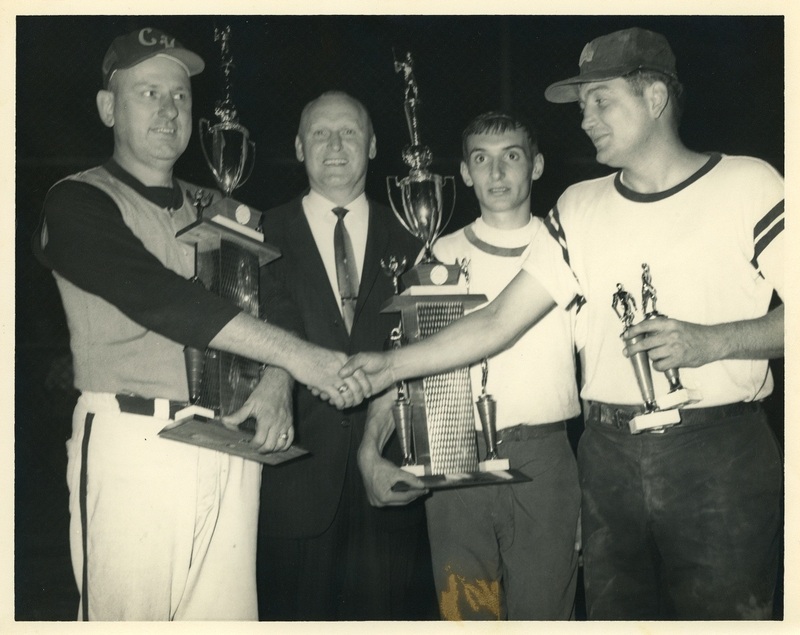 The championship team, Ridge Maintenance from Cleveland had one player on the team, MVP Ida Jean ‘Hoppy’ Hopkins. 1967 held at Jones Beach, New York, on August 1-9. ASA started the “Regional Championships” this season. After 62 teams entered the 1966 National and with the rain and delays, the tournament was played throughout the night. It became too much, so ASA divided up the country into 30 regions and no longer were State and Metro Champs guaranteed a spot in the Nationals. The Regionals brought together a specified number of State and Metro Champs to play in that particular Regional Championship Tournament. That winner then earned a berth to the National Championship. The Defending Champion also had an automatic berth at each National along with the Host Team. This cut the number of teams down to a manageable number each year. Jim’s Sports Shop started the season as Skip AC, but Jim’s Sports Shop took over the financial backing by the end of the season. Miller “Killer” Adams of Jim’s was a dominating force at bat and in the field as Jims beat the defending champs 14-8 to win the title. Paul Tomasovich hit a home run and collected 3 RBIs in the final game. Tomasovich ended up 15-29 (.517) for the tournament. Both Ray Kruel and Andy Zilka also had 3 RBIs. Tex Collins of Michael’s hit 4 HRs against County Sports, but it took Jack Westerlund’s walk off 3-run homer in the 7th inning to eliminate the Long Islanders 22-21. Collins’ effort offset great individual performances by County Sports Jim Galloway and Bill Brown who each hit 3 homers apiece in the loss. Michael’s then went to the finals where they defeated Jim’s 9-5 in the first final. Collins hit 13 HRs to set a record, 6 straight at one point.